A person should without a doubt consider contacting Ekrepairs.co.uk if you’re going to have your personal computer or laptop repaired in Motherwell and surrounding areas. By procuring the organizations of the right local technician or computer repair solution provider in Motherwell, you get to greatly reduce the waiting time and the stress and anxiety that usually comes with getting your laptop fixed. Everytime you send your laptop computer for fixing purposes with some of the high street vendors you are always told it will take a few weeks and you will get a call once ready. Most of the time laptops and computers have to be sent down south somewhere to be repaired leaving you high and dry for a few weeks. Who wants that? With Ekrepairs.co.uk in Motherwell, you’ll be told what’s wrong with your PC right there and then, given a firm quote and most problems will be repaired on the same day. So, how do you find the best PC or Mac repair service provider in Motherwell ? First of all, you have to determine exactly what you want out of the technician you hire. • Are you aware of what’s wrong with your laptop computer at all? • Is your notebook out of warranty? Can you take it back where you bought it to be repaired under warranty? • computer Hard drive or something making weird noises? • Is it something as simple as virus removal from your notebook? • desktop pc spyware Removal? • desktop pc system reboot? • computer system won’t switch on? • portable computer keeps crashing? • Password not recognized on your notebook? We have been repairing computers and laptops for a very long time and realise that sometimes you are not able to tell us what’s wrong with your computing device. This is why we offer a free diagnostics solution and only charge for the actual work we do. Repairing your home pc can be expensive. That’s just something that happens sometimes depending on what’s actually wrong with the notebook computer in the first place. If you’re going to repair your laptop or PC computer, you have to be prepared to spend a considerable amount of money. However, there are ways to stop this amount skyrocketing. One way you can save money on computer system repairs is to fully understand upfront what you’re going to pay for. You can’t really expect desktop computer repair shops to tell you everything upfront since they will need to open up the computer, run some tests, jiggle a few components and run some diagnostic program on the laptop to figure out what’s wrong and that in itself could take time. So always be clear that the diagnostics is not paid for and only agree to pay for the actual repair work done. Ask to be consulted before going ahead with any repairs and agree with the computer repair company that whatever you agree will be honoured. Make sure that if for any reason you can’t go ahead with the repair then the gadget should be closed back up and returned to you. You do not want to be given back a computer system that’s in bits n pieces simply because they cannot be bothered to close it because you are not paying their exorbitant repair quote. You may also need to do a bit of homework on possible hidden charges you may incur and ask the workstation repair company about them too. 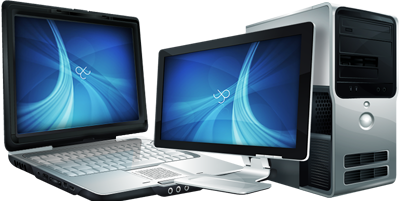 You can also save a lot of money on your portable computer repair if you are able to figure out what’s wrong with it by yourself and sourcing computer parts yourself. This move requires that you are decent technically and can get the right parts required. This way you only pay for their labour not the parts as they tend to mark-up the parts as well. In summary, any time you save on the work involved will save you money. Of course another way you can cut back on your desktop repair costs or expenses is by doing it all yourself. These days we have youtube.com and other video sites online that are full of how to solutions to technical problems. A quick search usually gives you the info you need and this will enable you to fix the problem yourself. Definitely some of the simpler repairs can be done at home. Memory upgrades, virus removal and the like can be done DIY. These days we have Groupon and other daily deal websites. Computer repair deals are very common on these daily deal sites. If you are not familiar with the concept then let me explain. This is a where a laptop repair company provider will offer a discount deal on their computer repair help. Something in the region of 50% discounts is common. You might for example buy a coupon for a 50% discount on your repair quote. This means that when you visit the PC laptop repair shop, they quote a certain price and your voucher will entitle you to a half price deal! Gadget repair shops put these deals up in the hope that you will get to know them and their work and maybe sign on at a later date and buy a full price repair. They use their advertising budgets as a loss leader hoping to land the big and long contracts later on. You can take advantage of these deals as and when they become available. Simply try a quick search for your area and subscribe to deal sites so you will be notified (usually by email) when the deals are available or on offer.